A limited-edition iteration of our popular vegan beauty elixir designed with potent polyphenols and antioxidants to decrease stress, support anti-aging and protect against free radical damage. 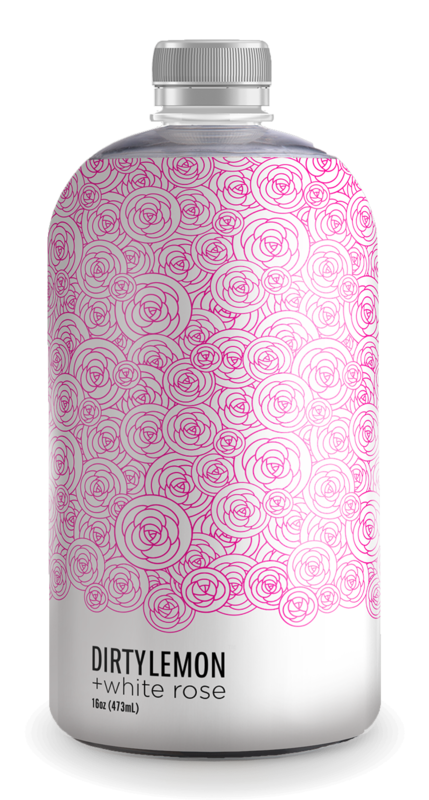 $1 from each bottle of +white rose sold will be donated to Equality Now. Includes 3 bottles of +white rose paired with 3 bottles of +rose. Orders begin shipping Wed. Feb 14th. Trans-resveratrol and Bulgarian Rose Water have been known to fight signs of aging, reduce inflammation and support the youthful appearance of skin. The +white rose formula is fresh and easy-drinking. The blend is floral in nature with notes of Honey Blossom, Bulgarian Rose and Citrus. Resveratrol is a powerful antioxidant produced by certain plants (most notably grapes, blueberries and raspberries). The ingredient is believed to be one of the most potent polyphenols and strongest protectors against symptoms associated with aging and free radical damage. Additionally, studies have shown that resveratrol supplementation improves circulation and has beneficial effects on glucose and lipid metabolism (supporting healthy heart function). For the best results, drink in the evening after dinner. The formula is designed to boost the body's ability to fight oxidative stress (or free radical damage), improve energy, and support a healthy digestive system by improving elimination of toxic compounds and waste. What are the benefits of drinking rose water? Rose water has been used for centuries since the time of Cleopatra -- it contains antioxidants including flavonoids and anthocyanins. A study published in the December 2005 edition of the Journal of Agricultural and Food Chemistry showed that rose extract exhibited a strong ability to combat free radicals. Our roses (Rosa damascene) are sourced from Bulgaria, widely recognized as the finest rose in the world with the most health and beauty applications -- The plant contains several components such as terpenes, glycosides, flavonoids and anthocyanins that have beneficial effects on health. Discontinue use immediately if you experience any uncomfortable side-effects.